Dawn Rasmussen, now in her 70s, is considered an institution in women’s sports for having played a pioneering role in the development of women’s sports as well as physical education in Samoa. As a young woman she represented Samoa in a number of sporting events such as netball, hockey, tennis and athletics, including five South Pacific Games beginning in 1963. Dawn later went on to become a sports administrator in several sports organisations that she helped establish in Samoa including school athletics, junior tennis, hockey, netball and women’s rugby union. 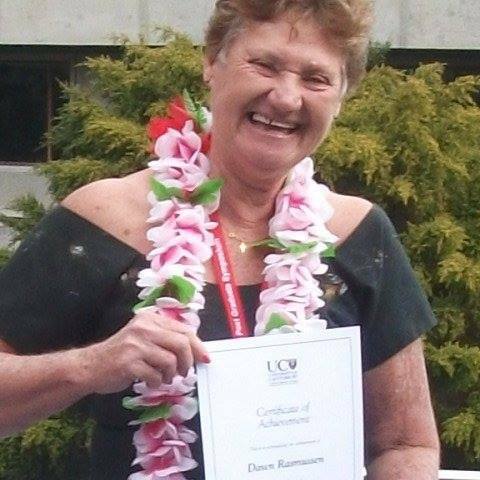 Dawn was the first physical education teacher in Samoa and a teacher educator for several decades. She trained PE teachers at the Western Samoa Teachers Training College, then at the National University of Samoa Faculty of Education, and she is still teaching part time in Apia. When asked about being a role model for women, Ms Rasmussen says, “My work in Physical Education and sport has changed the attitudes of both women and men, especially when I played a sport that was considered at the time only for men. They now know that women can play any sport.” She says she has always lived by the motto: “A healthy mind and a healthy body”. “Dawn is a role model and inspiration for sportswomen and all athletes in Samoa,” says Susan Faoagali, Assistant Chief Executive Officer in Samoa’s Ministry of Women, Community and Social Development and former Samoa Women’s Rugby Union Secretary. 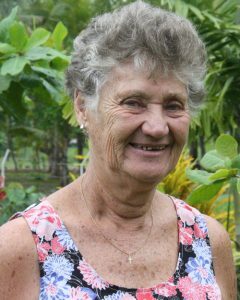 In acknowledgment of her lifetime dedication to sports and physical education in Samoa, Dawn was inducted into Samoa’s Sports Hall of Fame in 2016.